These pants simply didn’t offer all the pluses for hiking that its competition did. The Mountain Hardwear Hardwear AP Pant is a stylish and durable pant that performs adequately in a wide variety of outdoor activities. We found them to be a bit too tight and restrictive for everyday hiking, however, we recognize that body shape plays a significant role in that calculus. For us, they were consistently too tight in the thighs and had an unusual fit in the crotch. Our testing also revealed that this pair has almost no water resistance, even in a light rain, and they are decidedly light on features compared to the other hiking pants in our review. Consequently, these were the lowest scoring pants in the review. The Men's Hardwear AP Pant is the lowest scorer in our review due to its underwhelming performance in many of our scoring metrics. It offered the least amount of water resistance of any pant that we tested, and was also pretty warm without much in the way of ventilation. For us, the most significant issue was the fit, which we felt really limited our desire to hike in them. All of these issues will be discussed more below, but we want to point out that even though they didn't stack up well against the competition in this review, they are well liked and reviewed online, so take our findings with a grain of salt. And don't be afraid to try them on or order yourself a pair if you feel inspired. The Hardwear AP pants are a tight fitting and pretty stylish pant designed for all sorts of outdoor uses. 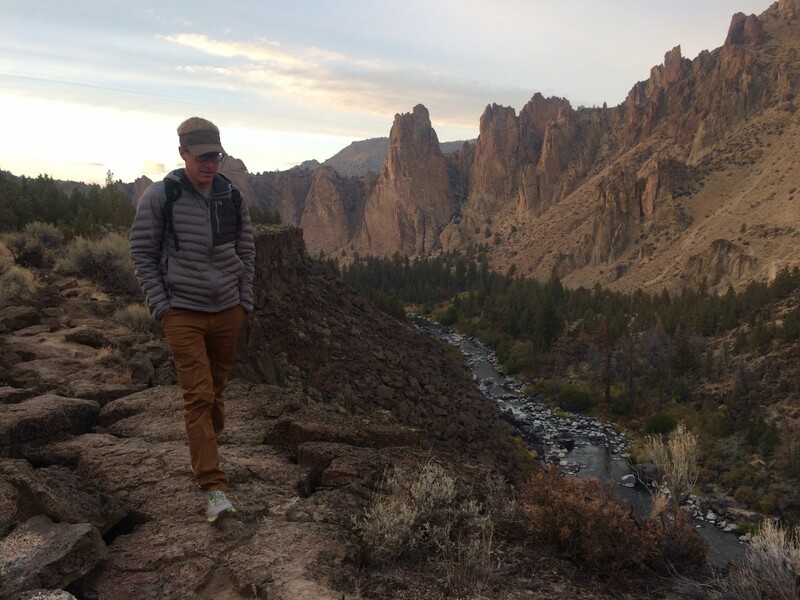 Here we are testing them on a hike in Smith Rock State Park, OR. One positive that we can point to with these pants is how comfortable the 75% cotton, 23% nylon, 2% elastane blend fabric feels against the skin. However, we think these are the least mobile hiking pants that we tested and we struggled quite a bit with the fit. They are slim and narrow through the legs, not unlike the Patagonia Quandary. For us, they were far too constricting in the upper thighs, a complaint we also read about a lot online. In addition, the crotch of these pants is cut way too low. When wearing them on the hips, it feels like our legs are being held together by a bungee cord, which is the primary reason that we didn't like to hike in them. Conversely, if we tried to fix this problem by wearing them a bit higher, the waist felt loose and rode up even higher, which was equally uncomfortable. If you are looking for the most comfortable pair of hiking pants, we encourage you to look at the Prana Stretch Zion. We found these pants to be perhaps the least mobile of any we tested, to the point where we found them too constricting for hiking in. On the other hand, the cotton blend fabric was more comfortable against our skin than most of the synthetic pants we tested. The front hand pockets and zippered rear pockets are both mesh-lined. They also have an extensive mesh liner on the inside of the pelvic region, similar to a pair of running shorts, except that it is sewn into the pants, rather than floating freely. We suspect it is meant to facilitate airflow between the skin and the main pant material, but it didn't really succeed in that goal. The cuffs can be rolled up and snapped in place with little plastic buttons, much like the Prana Stretch Zion. Overall these were tightly woven, thick, and pretty warm pants that didn't breath as well or offer the ventilation of the REI Co-op Screeline or KUHL Renegade Cargo Convertible. Running uphill in the sun to test hiking pants side-by-side for venting and breathability. We thought the Hardwear AP pants were pretty warm, not very breathable, and also point out they have few ventilation features. With their super absorbent cotton fabric, we don't think these pants are a good option for hiking in wet climates, or for extensive backpacking. Since they don't ventilate well, we also wouldn't choose them for hotter weather either. We think they thrive best in cool, dry temperatures, similar to the the Fjallraven Vidda Pro. We think these pants are best suited for hard outdoor work, gardening, rock climbing, travel, or wearing around town. We did not enjoy them much for hiking. While we didn't really enjoy these as a hiking pant, we thought they were reasonably versatile for other uses, like hiking or wearing around town. They are more comfortable in cooler weather, and wouldn't be our first choice for summer heat. When it came to our shower test to assess water resistance, the Men's Hardwear AP Pant was easily the lowest scorer. Made almost entirely of cotton, and lacking any chemical DWR application, we weren't super surprised when water immediately soaked straight into the fabric of this pant. For this reason, we wouldn't recommend wearing this pant on adventures where rain is likely, or even possible if it's also cooler out. If you are looking for a highly water resistant hiking pant, we recommend the Arc'teryx Perimeter Pant or the Patagonia Quandary. With a predominantly cotton fabric and no hint of a chemical DWR coating, these pants immediately took on water, soaking it up like a sponge. The Men's Hardwear AP Pant includes some thoughtful features and some others that didn't work as well. It has nice large front hand pockets, and we also enjoyed the two rear pockets, which are each zippered, a nice security bonus when traveling. The only other pocket is a thin one on the side of the right leg, barely big enough for a smaller smartphone, which is velcroed at the top in a way that makes it sort of annoying to pry open. A quirky feature of these pants is that they have buttons to help them stay rolled up at the bottom, and on the inside of the pant leg is a strip of reflective tape for increased visibility while bike-riding at night. One nice feature on the inside of the pant leg is reflective tape for added visibility in low light that becomes visible when it is rolled up and snapped for a bike ride. Overall, this model had few pockets and features, especially in comparison to the Fjallraven Vidda Pro or KUHL Renegade Cargo Convertible, and thus received a score of 6 points. This small side of the thigh pocket is only barely big enough for an older iPhone, and also has a tab of velcro at the top that is surprisingly annoying to get open, but ensures you won't lose that phone. We think these pants are best suited for rock climbing, wearing around town, or outside work. Because of the lack of water resistance, and the restrictive fit, we don't recommend purchasing them as a dedicated hiking or backpacking pant. While we think the Men's Hardwear AP pants are a good choice for lots of activities, like working, climbing, hanging out, or travel, we thought their wonky fit detracted from the experience of hiking in them. Here testing them out in the Utah desert. These pants retail for $90, making them $10 more expensive than a host of higher-performing hiking pants in our review. Since we thought that they didn't stack up well against the competition, we don't find them to be a particular value-rich purchase. The lower gorge of the Crooked River is made up of black columnar basalt. We checked it out while wearing the Hardwear AP pants, which did a good job of protecting our legs from the dry, prickly brush. The Mountain Hardwear Men's Hardwear AP Pant receives positive reviews from online customers, but it is the lowest scorer in our review. Due to its poor fit, few features, little ventilation, and lack of water resistance, we don't think it is a good choice for a hiking pant. On the other hand, it is stylish and durable in a way that could make it a great choice as an everyday pant, for traveling, climbing, camping, or outdoor work, as long as they fit you. 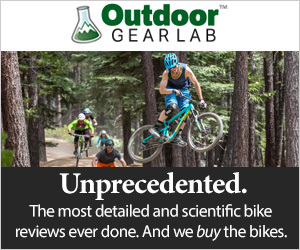 REI $62.73 - 30% off! MooseJaw $66.99 - 26% off!